With its unique drag and drop Page Builder Divi makes it easy to build truly dynamic pages without having to write a single line of code. 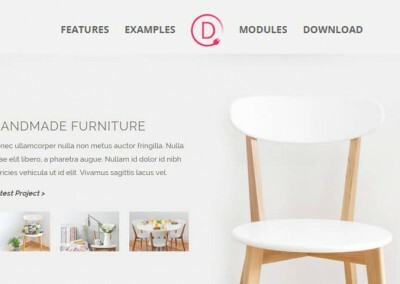 Divi comes with lots of great modules including blurbs, testimonials, contact form, slider, pricing tables, and newsletter optin, with lots more on the way. 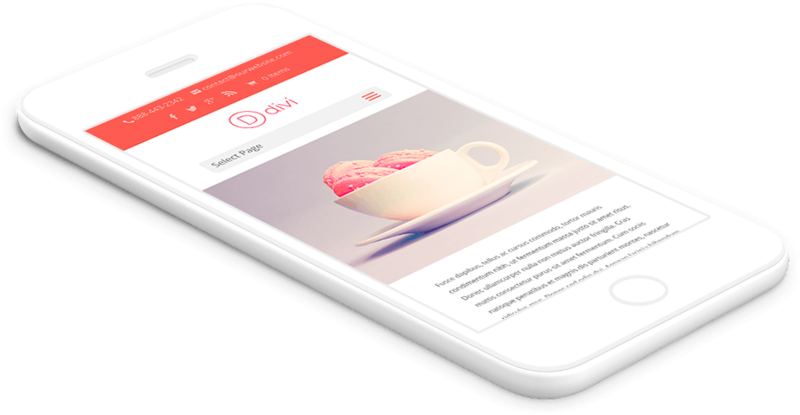 Divi has been designed with mobile devices in mind. No matter how you use it, and no matter on what device you view it, your website is going to look great. 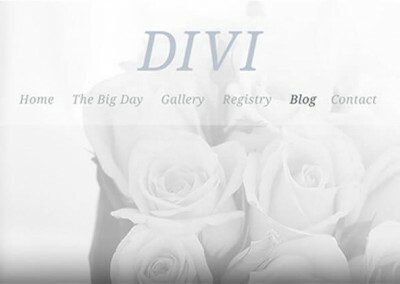 Divi has quickly become the flagship theme of Elegant Themes and the ET team will be updating, improving and adding additional layouts for years to come. Divi allows you to create this gorgeous parallax effect on any section of any page… with just a few mouse clicks. 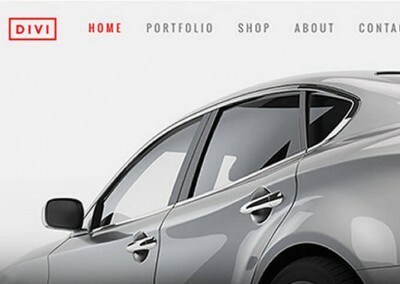 Parallax scrolling is a great design technique that entertains, involves and engages your visitors, which is what all great websites strive to do. Up to now parallax scrolling could only be achieved with the help of a developer or a WordPress plugin but now, Divi will do it all for you. Images are important to any site and Divi makes it easy to display your images anywhere on your pages and posts in interesting and eye catching ways. 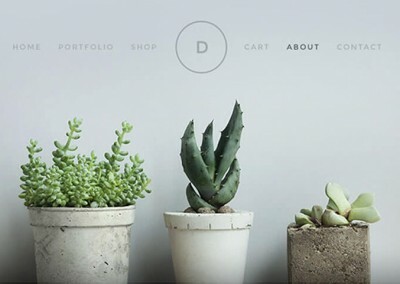 Divi has three Content Modules dedicated to images: the fabulously versatile Image Module, the Image Gallery Module (Grids and Sliders) and the Slider Module (Standard and Full Width). You can also use images as backgrounds to Sections, Rows, Columns and some Modules and as semi transparent overlays to create some truly stunning effects. And you can do all this… without touching a single line of code! 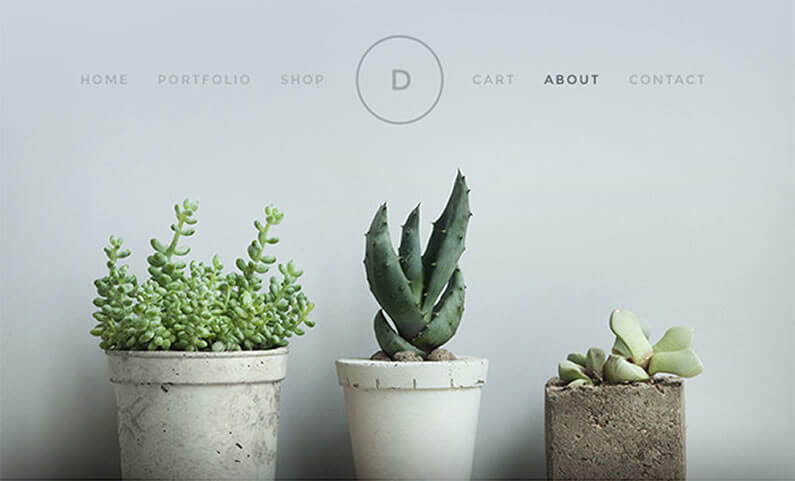 Use Divi to create beautiful business websites. Build your own from scratch or customise one of the many stunning premade business / corporate layouts. Get your online store up and running in no time. Divi comes with two premade store layouts, and the eCommerce module lets you sell anywhere on your site. Showcase your work anywhere on your site using Divi’s portfolio module. 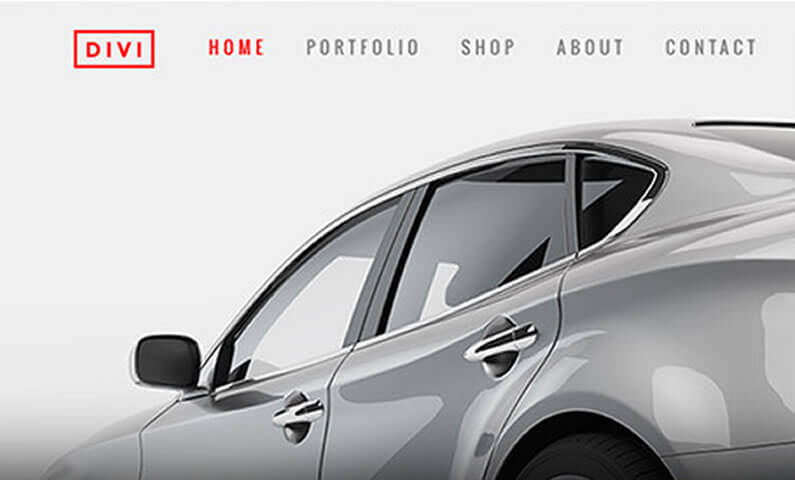 You can use one of Divi’s premade portfolio layouts or create your own from scratch. 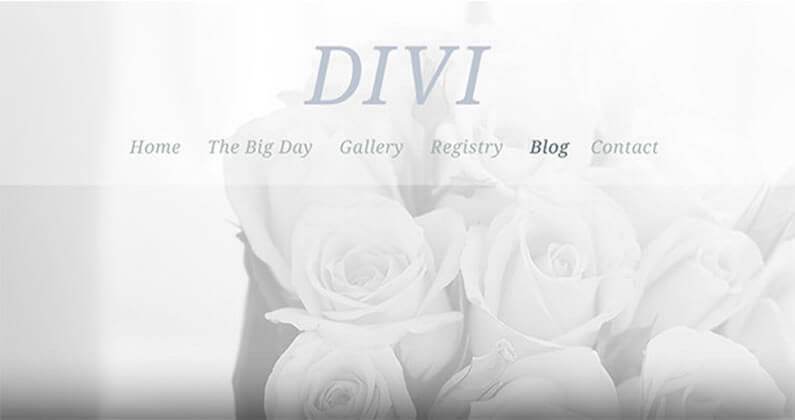 Divi comes with lots of pre-made layouts that help you get your site up and running in no time at all. From there you can add your own tweaks and customisation. The new visual builder takes everything you love about Divi and makes it infinitely better through a new visual interface that allows you to build pages on the front end of your website. Add content, customize the design, type directly on the page and watch everything happen instantly right before your eyes. There you go, I’m writing this text on my actual Homepage. Not in the WordPress back-end, but on the actual page. It’s quicker, you get instant feedback on how additions and edits look and the whole experience is so satisfying. You don’t have to use the Visual Builder, you can still use the standard “Back-end Builder” but believe me, once you’ve sampled the delights of editing on the front-end of your website, the back-end editor may seem rather tame. 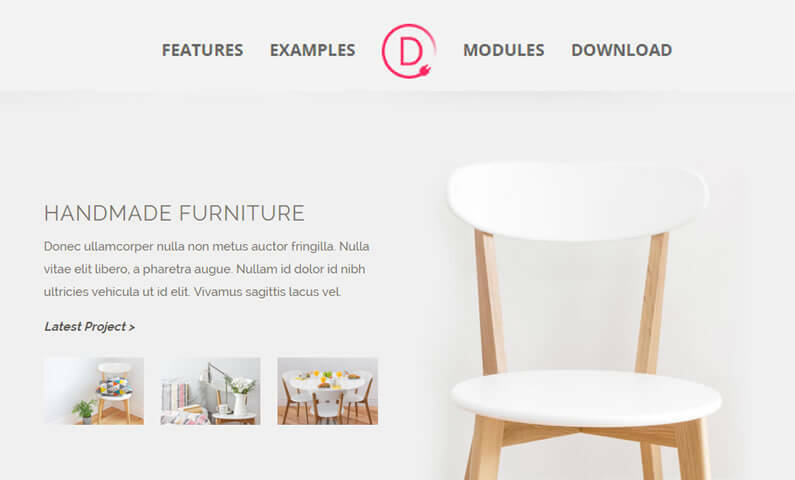 With more than 40 Content Modules to choose from, Divi lets you add just about any functionality that you can think of, to your website. Structural Elements: Sidebars Module, Text Module, Dividers Module. Content Elements: Blog Module, Portfolio Module, eCommerce Module, Opt-In Module, Contact Form Module. Inline Elements: Counters Module, Blurbs Module, Images Module, Call to Action Module, Testimonials Module. Organiser Elements: Toggles Module, Tabs Module, Sliders Module, Pricing Tables Module, Fullwidth Header Module. And all Modules have their own general and advanced design settings, which allow you to customise the look and feel of each Module, with just a few mouse clicks. Just pick the layout that most closely matches what you’re trying to produce, drag the various elements into their new positions, add your own text and images and you’re all done. You can also create your own Layouts and part Layouts and save them to your Divi Library where they are available for use and reuse when creating new pages. You can even export the contents of your Divi Library, Sections, Rows, Modules and complete Layouts, to other sites and use them to accelerate the new build. The backbone of Divi is a grid that has been built to be entirely fluid and percentage-based. That means that Divi not only looks fabulous on your desktop computer, but also responds in a much more intuitive way to mobile devices. The result is that your visitors get a great viewing experience, whatever device they are browsing on.